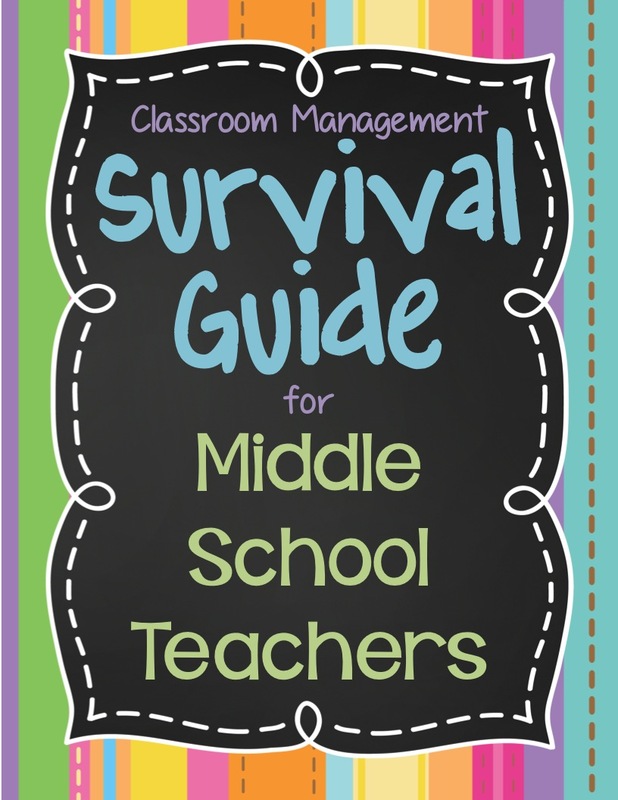 Over this summer, I’ve been contacted by a few teachers who are either starting their first year teaching in middle school or moving from elementary to middle this year, so I decided to write up a Survival Guide for those teachers! Of course, every teacher is different, and every class is different. All of these tips and techniques may work for you – or they might not – but here are some things I wish someone had told me! 1. 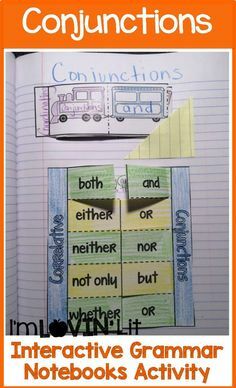 Make a seating chart on the first day of school. It’s true. Few things will spark as many sighs and eye rolls from middle schoolers as a seating chart, but I would *never* consider teaching without one. Maybe it’s the elementary teacher in me, or maybe it’s my overly-cautious classroom management style. 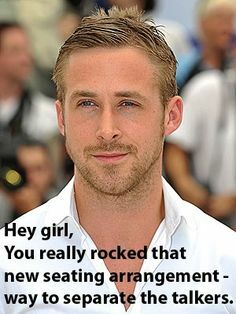 But I ALWAYS have a seating chart. Keep it simple to begin with and make changes later as needed. 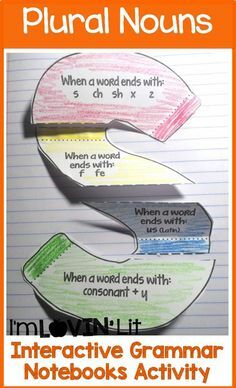 I always start out with the usual ABC order – it helps me to learn students’ names when they sit in the same seat every day and when I can mentally deduce by using the alphabet. Because after all, learning 150 new faces can be impossible without some sort of structure, and nothing says “I don’t care about you” or “I’m not really in control here” as not being able to identify a student by name. Furthermore, you can keep a cheat sheet of your seating chart on your stand or podium in the front of the room and call students by name with a quick glance down until you learn them all. 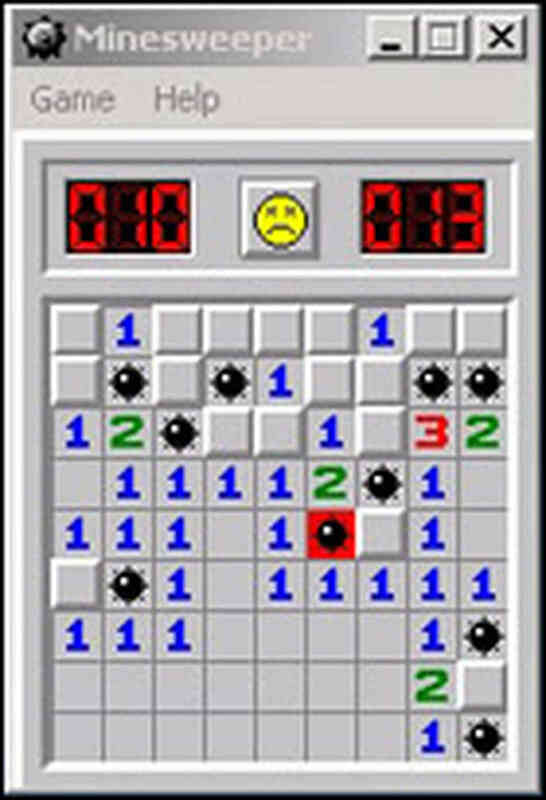 A fellow teacher suggested last year that working out her seating charts was a lot like playing Minesweeper – who remembers that game?! So, take control from day 1, and separate those talkers! Don’t let your class become social hour. 2. Decorate your room. Even choose a theme if you’d like! Don’t listen to those other teachers who say “We don’t do themes in middle school” or “those kids are too old for that.” NO, they’re not. THOSE kids will appreciate an aesthetically pleasing room as much as anyone else. Throwing up a few assorted “motivational” posters is not the only way to decorate your middle school classroom. Choose a theme that’s relevant and not too kiddie, and keep it in line with your own personality. 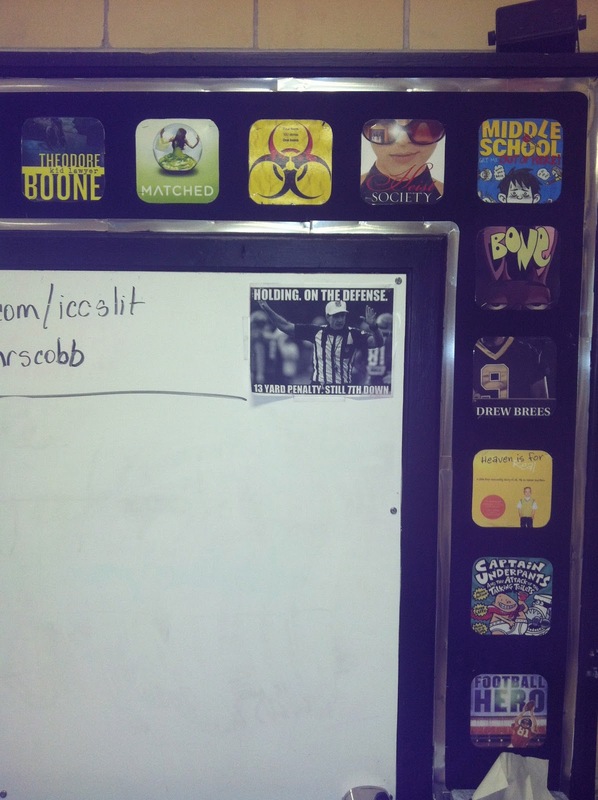 The kids at my school knew me first as the technology director, so when I made the switch to middle school literature, I went with a technology theme – “There’s a Book for That” – and posted books as apps all around my room. And while we’re at it – middle schoolers are also not too old to have their own work posted. 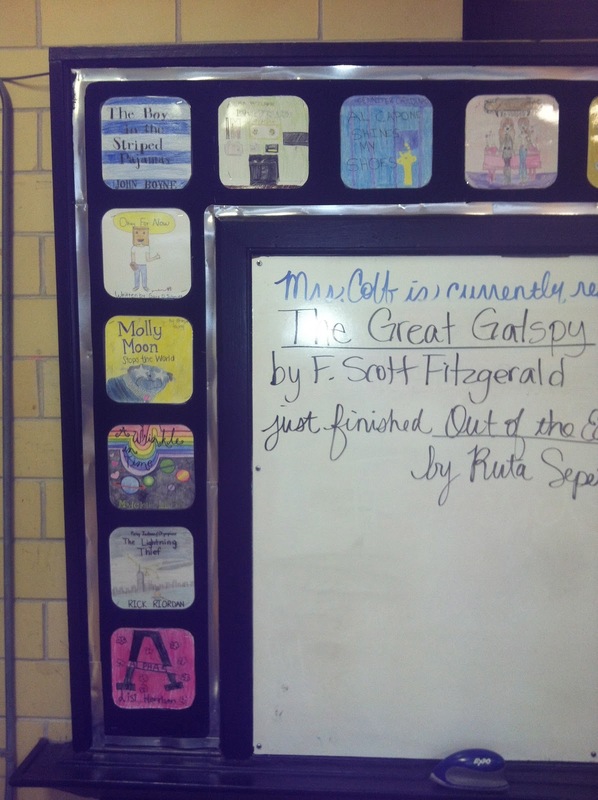 I also included student-created book-apps. 3. Bathroom! Agh! Decide how to manage this in ADVANCE. If you’re coming up from elementary, you know that nothing can be as bad of a time-waster as disorganized bathroom procedures. The same is true for middle schoolers! First, let me share with you a short lesson I learned at a conference a couple of years ago. It was AWFUL. Awful. HORRIBLE! The trainer was terrible, boring, and kept getting off topic (I think it was on writing and something…). By the afternoon, I was exhausted and sick of listening to this incapable woman and feeling really, really sorry for her actual students. When she gave us a writing assignment (something really lame about a chair), I pretended to have to go to the bathroom and roamed the halls to get out of doing it. While doing that, I listened in for a few minutes on another session that seemed way better than the one I had paid for. I finally returned, relieved that they were about to move on and I wouldn’t have time to write the really stupid paragraph when it HIT ME. O-M-G. This is *exactly* what a middle school student does when he wants to get out of doing something – right?! Of course, we always hope that our students will always see the value in EVERY activity that we do, but the fact is, no matter how fabulous and engaging we are, some students are going to avoid doing things that are uncomfortable for them or require too much brainpower. Especially during last hour – trust me. Further complicating matters is that NO teacher with a heart is going to deny any middle school GIRL the opportunity to visit the restroom, and we all know WHY – Flashing back to the worst years – and worst periods – of my life here. You are too, aren’t you? SO, here’s how I manage that. When it comes to male students, I’m a bit more firm. “Wait about 10 minutes, when we switch activities, I’ll let you go, but remind me.” Sometimes they forget they even asked, and other times their hand is up the minute they think we’re switching activities. I also recommend having a sign-out sheet by the door. This serves a couple of purposes. 1 – A written record that can be used during parent conferences or when other issues arise. I’m sorry that Johnny has been doing so poorly in my class, Mrs. Jones, but he is constantly missing important activities by asking to use the restroom. In the past month, he’s left my class 8 times for the restroom. That’s about 40 minutes he’s lost – almost a whole class period. Sadly, when the 2nd floor bathroom was repeatedly being vandalized, we teachers had to launch an investigation of our own. We narrowed down the times the offense was occurring and fortunately I was able to know exactly who I had allowed to use the restroom during those times. 2 – It reminds the students that I’m paying attention to who leaves and for how long. I ask them for their name, time out, destination, and time in. Just a little bit of accountability goes a long way. What about students who just want water? This one’s really easy for me. I teach in a really old building, and it’s south Louisiana. It’s likely to be hot year around on the third floor where I am! And I’d never deny a student a drink of water. So here’s what I do. Anytime we are completing group activities or independent activities (not a test) I’ll open my doors. This is an unspoken signal to my students that a water break is OK. There are a couple of rules. 1) One student in the hall at a time and 2) One water visit per person, per day. They monitor this themselves and I don’t have to. I think they really appreciate this courtesy – the acknowledgement that a drink of water goes a long way! One more thing – we all know that we’ve got that student who can’t sit still and is GOING to find a reason to get out of his seat at some point during the class period. They might ask you an unnecessary question or ask to visit the bathroom or water, or who KNOWS what else. Well, this water privilege solves that problem. They can get up and walk around for a minute without even having to make up a reason. Click here to move on to part 2! Very cool and helpful information! If I ever switch to middle school, I'll know where to look. Thanks for the information! My biggest issue was I left that in my locker. UGH….Mostly 6th Graders who were new to switching classes and leaving items in lockers. I've commented before about how much I love the idea of "There's A Book for That!" I am so glad it has turned up again because I had forgotten about it. 🙂 YAY! Erin, this is great!!! I love my elementary position now, but I've always thought that some day I'll go to middle school. I pinned this so I'll have it when I need it. Thanks! Thanks for the tips! I can't wait to see the rest and apply them in my classroom! I love the "There's a Book for That" theme! Thank you so much for this series of posts.. I'm getting nervous teaching in middle school for the first time.. Makes me want to go back to elementary cause that's what I know! You're making me feel a bit better about it.. so thanks for that!! When I moved up to middle school after only 2 years of teaching 4th and 5th grade, my colleague who I teach with in middle school comes to me and says "Middle schoolers are a lot like Kdg except they have bigger bodies and consume more food." My room is covered in stuff. When other teachers come in, they say, "can't take the girl out of elementary, huh?" When I had to take stuff down for testing, the kids hated it! Another I thing I do is decorate my door for holidays. The other teachers roll their eyes at me, but my students LOVE it and each month they can't wait to see what I do. Can't wait to hear the rest of your ideas! Can you please e-mail the book cover apps. I love them! Thank you for the tips. 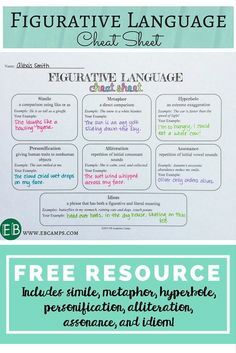 This will really help me out a lot as a first year 6th grade teacher. I'd love to have the book cover apps too when you have some free time..haha. I clicked on your email sign, but I don't have Outlook. This is great! I've been teaching middle school at a smaller private school for the last 4 years and am in the process of switching to public, which means about 4-5 times as many students. This post will be a big help as I'm prepping my procedures for the year. And I agree 100% about decorating middle school classrooms and hanging student work. They feel pride when they see their work displayed! I have a question about the Bathroom Passes. I am a first year teacher and was going to try and give the Hall Pass punchcards a shot (possibly–until I read this post). I have 50 minute class periods. They have 4 passes per quarter. What do you think about the punchcard idea for 7th grade? OMG…thank you so much for this survival guide!! I have taught 3rd grade for 8 years and just recently decided to move up to 6th grade Language Arts / Reading!! I am so nervous about starting this new adventure but your blog / posts are really helping me!! Thanks so much!! I, too would love a copy of your Book Cupcakes!! My theme is also bright colors and I think I'm going to add in sweets too…it seems like they fit perfect together!! Thanks again!! Your stuff is so AWESOME!! Thanks for sharing so much! Oh I love the cupcake theme! Will you be sharing any freebies? thanks kindly. Thanks for this great post! I'm beginning my 9th year teaching middle school, and I love it! I do have one question, and that is how do you motivate students to come prepared? I get tired of the wasted time at the beginning of class when students are trying to find a pencil from someone else, or trying to take one from my desk. I'm not opposed to spending money on cheap-o supplies for these kids, but I feel like it's my responsibility to teach them how to be accountable for themselves. If they know they can just get a pencil from me everyday, then how will I help them gain that skill? Any ideas????? 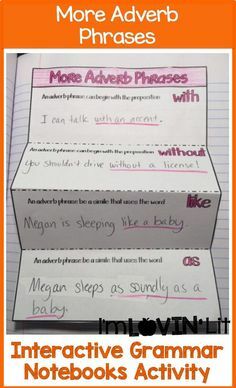 If a kid needs to borrow a pencil, how do you keep track of it and motivate said student to remember to bring his/her pencil in the future??? oh that’s just GREATNESS!!!! high five! I love the idea of the "There's a Book for That" – and posting books as apps! Next year I am moving to Middle School and I would love to have you send me the templates for these apps. My email is kinery@clps.k12.mi.us. Thanks in advance! I stumbled across this blog while researching teaching MS Language Arts. I have taught HS for five years and then the last five at PreK. I am thinking of teaching MS b/c I haven't done it before and hopefully there is less grading than in HS. Would you be willing to answer some questions if I sent them to you? 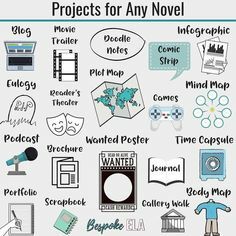 And I would love to have your book apps ideas! I don't know what MSers are reading these days. My own kids are still in elementary. ww2three@yahoo.com. I am very eager, but slightly nervous about this. I love this survival guide so I will be using it! Please let me know if there are any other pointers! 🙂 Thanks! 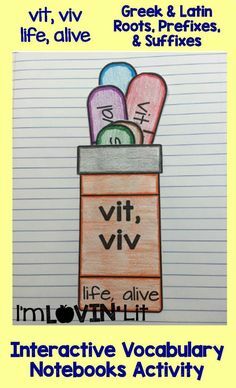 I just found this post from pinterest. Thanks so much for this great information! I've been teaching 5th grade (an elementary class in my school) for 11 years and I'm now moving up to 7th and 8th grade. I'm pretty excited about the move and your post really reassured me that good teaching practices are often universal. 🙂 Kids are kids. My tried and true procedures may need a little tweaking is all. 🙂 Thank you. Great ideas and I thank you for all the recomendations you gave out on this survival guide. Thanks a lot! I taught middle school ELA for 3 years, had a ten year break with my kids, and am now starting back for my new "first" year. This post and so many others are so helpful! Thanks for sharing your wisdom and technical expertise. I would love for you to share your book apps with me, pretty please and thank you! I've been a middle school teacher for 15 years now and I finally learned how to tell if a student needed a bathroom break (aside of the young ladies who had already told me that they might need to go to the rr more often for those girl things), I tell them they can go to the bathroom but that they owe me that time during lunch. Those that really have to go always accept that offer and those who don't need to go but want to get out of the class for one reason or another will wait to go. That said, I judge each student individually and usually know who wants to wander or get out of their assignment. I do the same for frequent fliers to the clinic. I agree with keeping feminien hygiene items in the room. I just use what the school offers in the clinic, but it would be nice to be able to offer them something smaller and more compact. I also keep a giant box of band-aids to avoid clinic trips. I have been teaching special ed. in a middle school for 14 years out of my 21. We are not allowed to tell a student no to the bath room but the you owe me during lunch works to curb the trips and the time. I have water bottles for all the students and they fill them up at advisory and lunch. No problem there. I decorate the heck out of my room with posters of kittens dinosaurs and how to posters. I let the kids pick which ones they want to put up. Stickers are loved or stamps on the paper. They are still babies inside trying to be grownups. I don't think I would ever go back to teaching high school again. I have been teaching over 20 years and still do most of your ideas the first week of school. I also have the same kids for 3 years in a row. I have one this year I just don't know what to do with. She joined my class in Jan and ruined my program. yelling, cussing storming out of the room. I realize she wants to be in charge and have all the attention on her. Well she is back this year and mimicking not only me but all the other adults. She is picking on the younger kids and causing an atmosphere I do not want. I put a desk by itself and told her that was her desk until she could learn to get along. She refused to sit in it and I had a whole morning of I don't like it here I want to leave I hate this school. So I texted her guardian and they came and got her. But Tuesday she will be back and mad because I reported her behavior. What can I do to get her to stop her behavior and not ruin the program for everyone. Would love to have the “There’s a book for that” decor. Thanks so much for sharing! This was very helpful! Where can I find part 2? Love your book app idea and slogan. I’m not finding part 2 of your classroom management. Letting girls use the bathroom and not boys seems discriminatory. Why I ask? In my class I am sure to have the rules apply to everyone. I have a separate list of my students fo each class behind my desk. At the beginning of the year they are told how many passes they get per semester. I’ve done 3 and 4. As they use them I date one of the boxes. Sometimes a student will ask me how many passes they have. When they realize they have only one more and it’s barely October they’ll weigh just how much they need to go get a drink *cough* get out of class for 5 minutes. You’ll need to be pretty hardnosed about this. You’ll have maybe 2 or 3 times the entire year when a student will threaten to pee in your trash can or a girl who says it’s that time of the month in order to bully you in to letting them use a pass when they are out of passes. Stay strong friend and remind them that they wasted their passes. (I’ve never had them follow through.) I used to let them give their passes to others. This worked okay for a while until I had one boy take the challenge to see how many passes he could use of his classmates’. Another way to get them to really consider if they need to go is to tell them I’ll give extra credit at the end semester for each unused pass. When they ask how much I tell them I have decided yet. In actuality I usually do 2 points per pass. This is such a miniscule amount that it doesn’t actually affect their grade at the end of a semester. 1. You may not like the idea of tracking their bathroom passes but the upside is they need me at my desk to use them. That means that if I’m giving notes or giving instructions there are no bathroom passes being used! 2. The naughties that would use endless passes run out of theirs in the first couple weeks of the semester so you won’t have to worry about them most of the year and what mischief they may be getting up to.